It is the ideal product for those users who start the sanding process using P40 due to its excellent adherence and strength but, at the same time, sanding can be started with finer grains. It is recommended for those users that require a product that they can work with at length and can be contoured, if necessary. 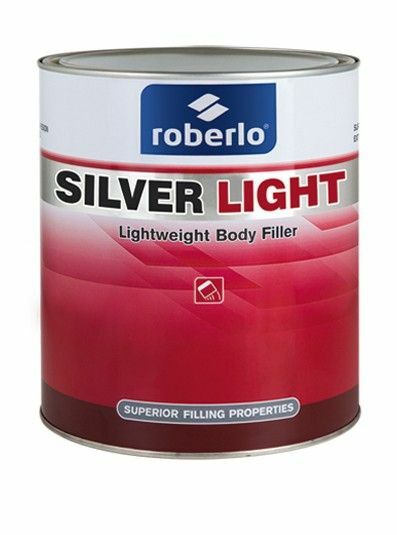 This makes Silver Light a very versatile product. Multifunction filler for any kind of job, large or small. Good adherence to any type of metal. Easy sanding, work can be started with P100-P120. Minimises the need to use finishing glaze, saving time and money.